Chinese multinational group, Touch Road International Holdings, has revealed plans to construct two hotels in Harare and Victoria Falls. The group has partnered with the Zimbabwe Tourism Authority to grow Chinese tourist arrivals in the country as the tourism regulator is making strides to double arrivals this year. As part of the deal, Touch Road has already guaranteed that the country will receive at least 350 tourists and investors monthly. 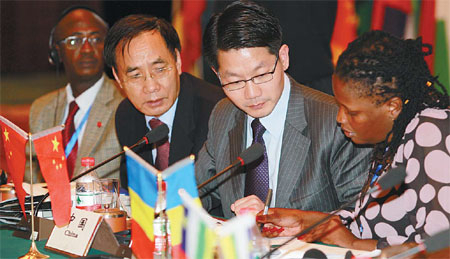 Touch Road International Holdings Group Chairman Dr He Liehui, who was also appointed Zimbabwe’s tourism ambassador to China, said while his organisation’s efforts are centred on increasing the number of Chinese tourists to visit Zimbabwe, the group is also focused on building hotels in the country. “We are in negotiations with the Government and we are discussing how to implement the project, the Ministry of Tourism and Hospitality Industry has already allowed us to scout for land, we are also in talks with Forestry Commission,” Dr Liehui. According to the figures released by the Zimbabwe Tourism Authority in 2018 the country recorded about 2,7 million tourist arrivals surpassing the peak recorded in 1999. The 2018 arrivals were boosted by the bulk from the Chinese market. This comes as the ZTA last year launched an international re-engagement programme with the aim of marketing destination Zimbabwe to diverse parts of the world including Europe that had side-lined the destination.